2018 has been a cracking year for gigs. I’ve been all over London and I’ve even managed to get to Staffordshire, Oxfordshire, Yorkshire and Brighton. I might have to do a count at the end of the year to work out how many different gigs and bands I’ve seen. I haven’t seen a bad gig, I’ve seen a lot of good ones and I’ve seen a few absolute belters. I’m guessing that those are the ones you want to hear about, yeah? As always, in no particular order. A year before this event, Martin told me after his gig at The Forge in Camden that he was booking The Union Chapel. He had no idea if he could fill the venue, or if he would break even on the event. At that time, I suspect I was more confident than Martin was. Anyway, fast forward a year to March 10th 2018 and a packed Union Chapel (almost sold out on pre-sales) saw finger-style guitarist Mike Dawes open for the dynamic duo. The intimacy of Martin and Daniel’s small venue performances scaled up perfectly for this particular venue. The combination of superb playing, perfect harmonies and the laconic interplay between songs was absolutely entrancing. Martin’s Weissenborn playing and Daniel’s virtuoso bass (I actually wanted to hear the bass solo) combined perfectly to create an almost Spectoresque wall of sound at times. And then the obligatory unplugged Union Chapel encore. Want a great Christmas gift? How about the live DVD? I really loathe the O2. It’s impersonal and it’s ridiculously expensive; it’s everything that winds me up about the enornodromes. And, as the start of the evening proved, if the mix isn’t spot-on it can sound awful in the auditorium, which it did for most of Steve Miller’s set. Which was a shame because the last half-dozen songs, when the mix was finally right, sounded superb. But the reason for my tolerance of this corporate barn was John Fogerty. I’ve been a fan of his work since I was a teenager, progressing from Creedence Clearwater Revival to the solo material. He has a phenomenal back catalogue of classic songs, most of which were dusted off for this gig. When you can open your set with “Travelin’ Band”, you can’t go too far wrong. The band was absolutely stunning; all superb musicians, with keyboard maestro Bob Malone dashing around the stage between blasts of piano and Hammond. The greatest hits all got their airing (including the one we know better from Live Aid and Quo, “Rocking All Over the World”, which he only plays in Europe) but, in a little tribute to New Orleans, we got covers of “Don’t Mess With my Toot Toot” and the Gary Bonds song “New Orleans”. Just phenomenal. Read what Steve J thought about it here. For various reasons, Cornbury was the only festival I did this year. It was a bit of a mixed bag on the main stage, but the bill on the second stage across the weekend was eclectic and classic. The one performance I didn’t want to miss was Albert Lee & Peter Asher in the Caffe Nero tent on Saturday evening. I wasn’t disappointed; the songs were delivered in an Everly Brothers style (well, Albert did play in their band) and were interspersed with anecdotes about songwriting greats in the 60s and 70s on both sides of the Atlantic. It was all very laid back but the quality of the playing and the harmonies was absolutely superb. I’m a big fan of the duo format and this was the ‘two voices, two instruments’ at its absolute best. The tent was packed throughout the set and the entire audience left with a warm glow. This was the first night of live music at a new venue and it introduced me to not one but two new artists. Belle Roscoe are brother and sister Matty and Julia Gurry. They play gigs in the duo format, but also have a band for bigger gigs (like this one). The songs are strong, the harmonies are great and the arrangements, with Matty’s guitar and Julia’s floor tom and keyboard playing augmented by bass, drums and guitar are powerfully percussive. It’s a big sound and it completely won over a crowd who were mainly there for the occasion, and not necessarily the music. And that was just the start of the night; there was still Lisa Canny to come. Lisa also adapts her live arrangements according to the size of the venue. She’s perfectly happy with just the harp and banjo, but this was also a full band set. Lisa’s originally from Cork and a traditional Irish music background; that background is part of what she’s about now, but there’s a lot more. She blends Celtic influences with pop and rap to create a totally infectious mix that’s unlike anything I’ve ever heard before. I’m not exaggerating when I say that at times most of the audience was absolutely stunned by what they were seeing and hearing. And then the finale; Lisa playing a projected laser harp (honest, and I was stone-cold sober). A bit of a night. Another night out with Steve J and Mrs J in a slightly smaller venue. Nell’s is renowned for its intimate atmosphere, with a cabaret layout and a very chilled vibe. I hadn’t heard The Majestic before and I loved the band; proper roots reggae. They’ve been around for years doing their thing around West London and they’re such a powerful reggae unit. It’s not about individuals, it’s about everyone playing their part to create a slinky, sinuous groove. I hear a band like this and I can’t understand why there are people who say they don’t get reggae. I didn’t know what to expect from Skatalites, apart from the obvious “Guns of Navarone”. The membership may not be the originals, but most of these guys have been in the band for decades. They’re tight and punchy with the classic tenor sax, trumpet and trombone horn section. It’s a pleasure to hear guys who are this good just doing their thing; but that’s not all. Part way through the set they were joined by the phenomenal ‘Queen of Ska’, Doreen Schaffer. She’s looking a little fragile now, but the voice is still there and the audience loved it. I think I had something in my eye at one point. It was a taste of carnival at the end of October. Depending on who you listen to, it’s the posh festival or the older person’s festival. I was in the unusual position of trying to balance taking a few pictures and writing a bit as well; I got to see the first three songs of each performer’s set from the pit before being shuffled on to the next stage. Thankfully, there was an exception to this routine; the Caffe Nero stage opened at 9:00am and featured unsigned artists throughout the day. It’s a great way to kick off the day; live music from about 9:30 and great coffee as well. Before most festival-goers are out of bed, you could hear the twenty-first century folk of Lucy Mair, Megan O’Neill’s take on contemporary country and Key West’s raucous and irresistible rock/Gaelic/Americana hybrid. Anavae; that’s a name you need to remember. Playing a lunchtime slot on the Caffe Nero stage, their blend of tribal rhythms, Jamie Finch’s fat guitar and keyboard sounds and stunningly powerful vocals from Rebecca Need-Menear generated a buzz that went way beyond caffeine. And then it was time to watch Danny and the Champions of the World do their wide-screen Americana thing. The songs were strong, the playing was superb and Danny Wilson looked totally relaxed on the big stage in the mid-afternoon sunshine. In the evening, Stereo MCs absolutely owned the Songbird stage; it was tight, it was energetic and Rob Birch was as wired and compelling as ever. UB40; well, Brian Travers worked really hard to sell it, but it’s not the real thing (and I’m sure the Ali Campbell version isn’t either). It made me wish I’d been able to see Jimmy Cliff earlier in the day. The reason I missed that set was that Caffe Nero had managed to grab Albert Lee and Peter Asher for a set at 5:30. You can google both of those guys, but I can tell you they have an astonishing pedigree with over a century in the music business between them. Sixty minutes passed in the blink of an eye as these legends entertained a packed Caffe Nero stage with songs and anecdotes; it was the first standing ovation I saw over the weekend but certainly not the last. You can see the pictures from the day here. So where do we start with this one? Well, I’m going to mangle a metaphor, a football one at that. It’s a game of two halves and, at times, the two halves are being played simultaneously. Jericho Summer are Jay Zeffin (guitar and vocal) and Vanessa Joy (Vocals) plus core band Tom Tyson (bass/production), Rodders Rodders (guitar) Guy Lancaster (Hammond) and John Marcangelo (drums and piano). 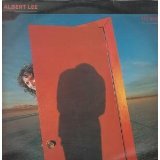 Marco Mendoza (bass) and the legendary Albert Lee (guitar) also make guest appearances. With that kind of line-up you would expect something very special musically from the album, and you wouldn’t be wrong. 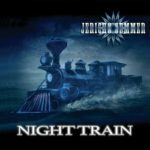 The album’s title track (and opener), “Night Train”, choogles along nicely. There’s a big chorus with some nice Hammond and the song’s punctuated with some really nice guitar fills. It’s not ground-breaking but it’s enjoyable, good-time Southern rock. So far, so good, but what about that other half I was telling you about. Well, the lyrics don’t always match the standard of the music. I’m not saying they’re bad, just a bit predictable. For example ‘She grew up in a real small town, Everybody tried to put her down’ from “Lonely Town”; from the end of the first line, you know exactly what the second line is. “Bitchin’ with a Woman” is a real seventies throwback with lines like ‘I got pain like Cain and Abel’, and attitudes that are at least forty years old. If you focus on the diamonds you might be able to ignore the dust; “Good One Comin’ On” is an Eagles-like good time party song in the mould of “Take it Easy”, “Coming Home” has some nice twin guitar work and multi-layered vocals, while the closer, “Running Free” has a stomping Black Crowes/Led Zeppelin riff driving the song along. Musically there’s a lot to like about “Night Train”, but most of the lyrics are a bit forgettable. How about four stars for the music and two stars for the words giving an average of three? Sounds about right to me. “Night Train” is out on Friday August 26th on Devil’s Blade Records (DBL017081).